I would have to admit that I was always left feeling a little disappointed by the 1970s TV show The Incredible Hulk. That was probably because I was a Marvel Comics fan and I felt that the watered down Hulk, played by Lou Ferrigno, just wasn’t as cool as the “real thing”. While the comic book Hulk bounded miles high in a single bound and picked up army tanks by their turrets to swat soldiers, the TV Hulk seemed to struggle to break his way through a polystyrene “brick” wall. 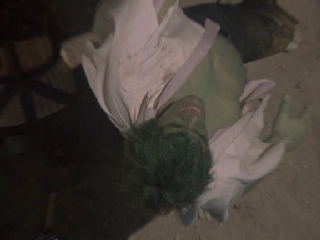 The Hulk’s lack of physical prowess wasn’t, as I had then assumed, all down to a lack of funding and the limitations on special effects back then, it was a deliberate, audience targeting, decision taken by TV the studio to make the character more plausible. That’s just one of the facts about The Incredible Hulk TV series that you may not have known. Read on, and you’ll find some more. The Incredible Hulk TV series initially ran from 1978 to 1982. The original Incredible Hulk TV series consisted of 82 episodes over 5 seasons that were first broadcast on CBS. There were also 3 later TV films produces by NBC; The Incredible Hulk Returns, The Trial of the Incredible Hulk, and The Death of the Incredible Hulk. The Hulk was played convincingly by bodybuilder Lou Ferrigno, who also later made a cameo appearance in the 2004 film Hulk and gave the Hulk a voice in the 2008 film The Incredible Hulk. 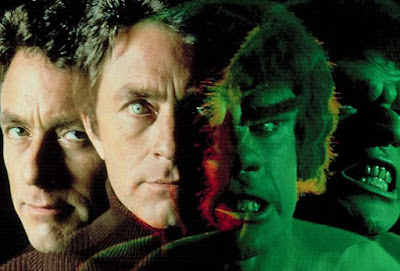 The Hulks alter ego, who, in the Hulk TV series was called David Banner rather than Bruce Banner (more on that later), was played by Bill Bixby. Why was the Hulk in the TV series so different from the comics? As I mentioned above, many of the changes made to the Hulk in the TV series were made so that the show would appeal to a wider audience. The Hulk’s strength was toned down to make him more believable and he never spoke, not even one single “Hulk Smash”, because the writer, Kenneth Johnson, thought that would sound “silly” on TV. In fact, Johnson didn’t like comic books at all, which might also account of for the many changes he made to the character. The reason for the name change from Bruce Banner to David Banner is possibly the most surprising of all. Apart from the fact that Kenneth Johnson wanted to distance the show from the comic books, the name Bruce was considered by CBS to be too “gay-ish”! Although Stan Lee agreed with most of the other changes made in the Incredible Hulk TV series, he put his foot down when it came to the colour of the big man. Kenneth Johnson wanted the Hulk to be red, because red is more human and more associated with anger. Stan Lee said no, the Hulk was green and he was going to stay green. As an aside, the Hulk in the comic books was actually originally going to be grey, but at the time that the Hulk first appeared, grey was a difficult colour to get consistent in print, so the Hulk turned green. Long before Arnold Schwarzenegger hit the big time in Hollywood, he auditioned for the part of the Incredible Hulk. The Terminator star was turned down, because he was too short. The part was then given to Richard Kiel, who played Jaws in the Bond Movies, but he was also ditched quickly, because he didn’t have the physique for the role. Kiel does appear very briefly in the pilot episode of the Incredible Hulk. Even though the TV series was very different from the comic books, the Incredible Hulk TV series did gain the Stan Lee seal of approval. He said that the series was “done intelligently” and he said that he thought that Ken Johnson had done a good job of making the Hulk more plausible and more appealing to a wider audience. As many fans of the recent Marvel films will know Stan Lee loves to make a cameo appearance in Marvel movies. 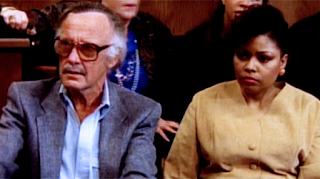 Stan Lee made his first ever cameo appearance in the TV film The Trial of the Incredible Hulk playing the part of one of the jurors. Jack Kirby, Hulk’s co-creator with Stan Lee, also made a cameo appearance in the season two episode of the Incredible Hulk "No Escape". Both Daredevil and Thor appeared in the TV movies of the Hulk. Both appearances were intended to be backdoor pilot shows for spin-off shows featuring the characters. Daredevil appears in The Trial of the Incredible Hulk and Thor in The Incredible Hulk Returns. The Incredible Hulk TV show developed quite a large fan base in its time and the show received generally good reviews. If you have seen the more recent appearances of the Incredible Hulk on the big screen or you know the Hulk from the Marvel comic books, you will find that the TV series presents a much more human side to the story David (Bruce) Banner and his Green alter ego. Modern youngsters would, no doubt, find the lack of spectacular feats of strength by the Hulk disappointing, but the TV show is good, if you watch it as something that is not supposed be a copy of the comic book version. If nothing else, I would bet that everyone who did watch the incredible Hulk TV show in the 70s and 80s remembers that haunting theme tune, called Lonely Man, played at the end of each episode!